You are here: Home / Weekly Columns / Opinion / Dual Screen ZTE Axon M Can Solve Samsung’s Galaxy X Design Challenges. Dual Screen ZTE Axon M Can Solve Samsung’s Galaxy X Design Challenges. 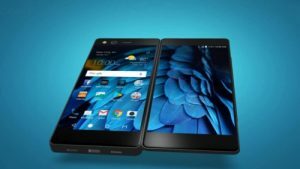 (ThyBlackMan.com) Vodafone will launch the ZTE Axon M in the UK market. The phone is already available for purchase in the U.S. and despite having an old processor on board, it costs more than many Android flagship phones. The Axon M is a smartphone with two displays and now when the smartphone industry is waiting for foldable phones from Samsung, Lenovo and Apple, here’s how the ZTE Axon M can help Samsung overcome Galaxy X design challenges. The Mythical Galaxy X, which is said to be Samsung’s foldable phone, is surrounded by problems related to its design. Many people who are familiar with smartphone display technology have said that achieving a flawless design for foldable display is challenging and it’s not just about bending the display, there are many other challenges waiting for smartphone manufacturers. In an interview, Qualcomm’s Salman Saeed who holds the position of product manager of display technology at the company said transistors in the display architecture and components responsible for powering pixels aren’t flexible enough. These components are the weakest link in the display and according to Saeed, the technology needed for bendable and foldable smartphone display doesn’t even exist today. So tech experts believe that foldable phones are still away and we will have to wait a little longer to see one. If we look at the ZTE Axon M, its design can be considered as the groundwork for smartphones of the future. The Axon M features two identical displays and supports dual-screen at the system level. It means that the Android Nougat on this phone is customized to an extent where the dual-screen experience doesn’t look odd. The dual 5.2-inch display works perfectly even if the phone is kept in any of its four different modes. The phone supports dual mode, mirror mode, extended mode and single screen mode without compromising the viewing experience. The ZTE Axon M is not the first phone that features foldable dual-screen display, but it is a smartphone that utilizes hardware and software in best possible ways. The hinge of the phone is strong enough to keep the displays in any position you want. You can keep the displays open like a tablet, or you can keep the whole set up as a notebook or a use one display serve as a stand. From the hardware point of view, ZTE Axon M supports 2.15GHz quad-core Snapdragon 821 chipset with 4GB of RAM. With LTE compatibility, the Axon M is capable of handling multiple tasks with ease. Its makers have done an impressive job in delivering a matchless user experience with Android Nougat which was not designed to run on this kind of displays. If we assume how a foldable phone will look like, for example, the Samsung Galaxy X, we can say that the phone will have flexible displays that can be opened and closed inside and out and can be turned into tablet form factor. The Axon M is pretty much doing the same and the only difference here is that the components are placed in different ways. But if you replace the hinge area with a foldable, flexible screen, there won’t be much difference between Samsung’s patents and the overall design of the Axon M.
The ZTE Axon M doesn’t feel like you are using two phones at ones. The phone appears to be very sturdy. The cable that connects two displays is capable of bearing thousands of folds before it starts getting weaker. ZTE claims that their smartphone is capable of working flawlessly for at least 3 years. A report citing Kim Tae-woong, Samsung’s Display Engineer claims says foldable phones will not be commercialized until 2019. Reports say that Samsung’s bezel-less display is selling well and the company has enough time to develop foldable display. According to the report, Samsung will unveil foldable display only after the demand for infinity display slows down. It’s pretty obvious that Samsung won’t kill the infinity display trend anytime soon. Production of a fully functional foldable display is also not easy and it may take two to five years. No matter how different the Galaxy X will be from the ZTE Axon M, the most important factor for foldable phones will be how developers will utilize the screen real estate for applications.